2 Maccabees is a deuterocanonical book which focuses on the Maccabean Revolt against Antiochus IV Epiphanes and concludes with the defeat of the Syrian general Nicanor in 161 BC by Judas Maccabeus, the hero of the work. Catholics and Eastern Orthodox consider the work to be canonical and part of the Bible. Protestants and Jews reject most of the doctrinal issues present in the work. Some Protestants include 2 Maccabees as part of the Biblical Apocrypha, useful for reading in the church. Article VI of the Thirty-Nine Articles of the Church of England defines it as useful but not the basis of doctrine and not necessary for salvation. The beginning of the book includes two letters sent by Jews in Jerusalem to Jews of the Diaspora in Egypt concerning the feast day set up to celebrate the purification of the temple (see Hanukkah) and the feast to celebrate the defeat of Nicanor. If the author of the book inserted these letters, the book would have to have been written after 124 BC, the date of the second letter. Some commentators hold that these letters were a later addition, while others consider them the basis for the work. Catholic scholars tend toward a dating in the last years of the 2nd century BC, while the consensus among Jewish scholars place it in the second half of the 1st century BC. Catholics and the Eastern Orthodox regard 2 Maccabees as canonical. Jews and Protestants do not. 2 Maccabees, along with 1 and 3 Maccabees, appeared in the Septuagint, the Greek translation of the Hebrew Bible completed in the 1st century BC. 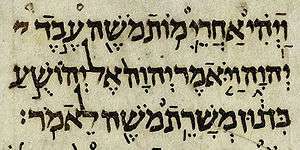 In Jamnia c 90, according to one theory now largely discredited, rabbis endorsed a narrower canon, excluding deuterocanonical works such as 2 Maccabees. This had little immediate impact on Christians, however, since most Christians did not know Hebrew and were familiar with the Hebrew Bible through the Greek Septuagint text of Hellenistic Jews, which included 2 Maccabees and other deuterocanonical works. 2 Maccabees was condemned in Protestant circles. Martin Luther said: "I am so great an enemy to the second book of the Maccabees, and to Esther, that I wish they had not come to us at all, for they have too many heathen unnaturalities." Other evangelical writers have been more positive towards the book: twentieth century author James B. Jordan, for example, argues that while 1 Maccabees "was written to try and show the Maccabean usurpers as true heirs of David and as true High Priests" and is a "wicked book," a "far more accurate picture of the situation is given in 2 Maccabees." ↑ II Maccabees: "Unlike I Maccabees, the book known as II Maccabees was written in Greek." ↑ Alexandria was a center of Hellenistic Judaism, and later Christian, scholarship. 1 2 3 4 Harris, Stephen L., Understanding the Bible. Palo Alto: Mayfield. 1985. ↑ 12:44 For if he were not expecting that those who had fallen would rise again, it would have been superfluous and foolish to pray for the dead. ↑ Luther, Martin (1893) . "Of God's Word: XXIV". The Table-Talk of Martin Luther. trans. William Hazlitt. Philadelphia: Lutheran Publication Society. LCC BR332.T4. ↑ Jordan, James B. (2007). The Handwriting on the Wall: A Commentary on the Book of Daniel. American Vision. p. 580.